The legalization of medical marijuana has been a very hot topic over the past years. Today, more and more states are taking the proper steps to legalize it for medicinal purposes, as well as recreational use. In fact, 29 states have legalized medical cannabis. Below, are a few reasons why marijuana should be legalized. For additional information, check out vireohealth.com. Learn about the different illnesses medical cannabis has been used for. One of the biggest reasons states are turning to legalizing marijuana is because of its medicinal qualities. It has been proven to help cancer patients alleviate a lot of their pain. Other conditions it is associated with include chronic pain, PTSD, ALS, Parkinson’s, MS and so much more. Such patients suffering from medical conditions should have everything that will assist them in easily managing their pain levels. They should also have easy access to the marijuana. Studies have also shown that the use of marijuana is safer than alcohol consumption and prescription drugs. Also, it is important to realize that more teenagers and young adults are using marijuana, whether it is legal or illegal. However, legalizing will help limit the access to other unsafe drugs teenagers and young adults are being pushed to purchase when they are trying to illegally buy the marijuana. Hemp is unlike many other crops because it does not require much fertilizer and chemicals to grow. It is pest resistant, which means that there are no harmful insecticides that go into the soil, this makes it optimal for the environment. In fact, some areas use the hemp crop to rid the soil of undesirable crops, fertilizers or other chemicals not suitable for the area. 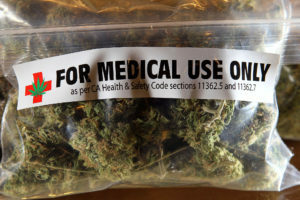 With more than half of the states having legalized the use of marijuana, there is still a long road ahead for other states to get on board, as well as making realistic guidelines for its use, as well as people being able to get it easily, as well as it being affordable, especially for those that need it for medical conditions.